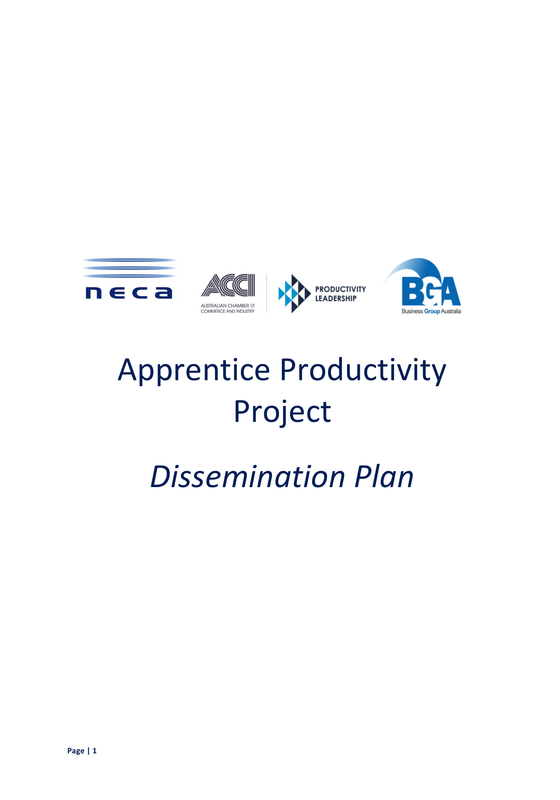 In 2014, BGA, in partnership with the Australian Chamber of Commerce and Industry (ACCI), and the National Electrical and Communications Association (NECA), examined the challenges and barriers for electrical apprentices, and the potential productivity gains that could be achieved by electrical contractors having a better understanding of their apprentice’s performance and requirements. The Apprentice Productivity Project identified a number of key areas that needed to be addressed, and the opportunities and strategies required to facilitate change, to increase the number of apprentices, the quality of their training, performance and productivity, and to ultimately strengthen the electrical communications industry. The development of a Dissemination Plan was seen as a critical step in the process. The core objective of the Dissemination Plan was to outline the strategies needed to promote the knowledge gained through the Apprentice Productivity Project, and to provide tools to assist businesses to improve the productivity and overall experience of their apprentices.